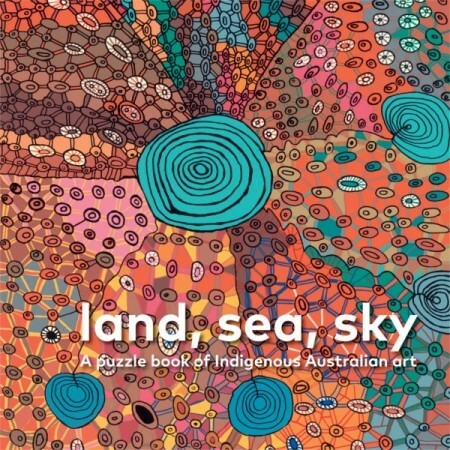 Land,Sea, Sky is a puzzle book of Indigenous Australia Art and story about our plants, animals, transport and weather. 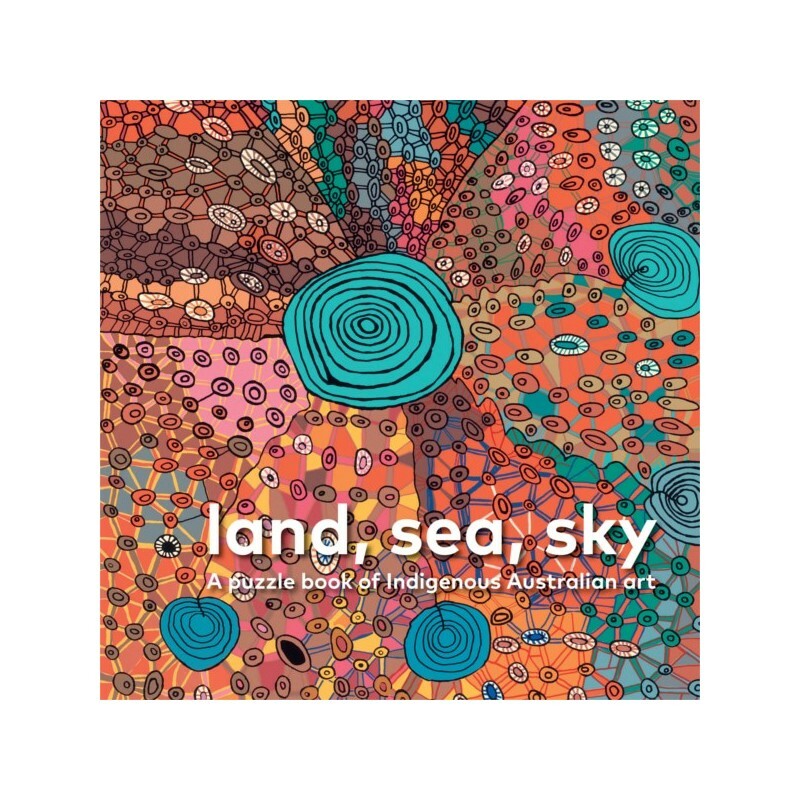 Includes ten 16-piece jigsaw puzzles featuring child-friendly works of art from the National Gallery of Australia's Indigenous Australian art collection. Hardcover. 10 puzzles. Bright and beautiful colour prints of original artworks. Produced by the National Gallery of Australia. Hardcover. 10 puzzles. Bright and beautiful colour prints of original artworks. Dimensions: 23cm length x 23cm width x 3cm height.